Power UP is an arts project featuring eatures dozens of workers from all parts of Austin Energy. Their latest production, Power UP is, like The Trash Project before it, a partnership with an Austin public works department. It features dozens of workers from all parts of Austin Energy, and many of their vehicles as well. The dance features linemen, electricians, bucket trucks, utility poles and more, and is based upon the day-to-day activities of the workers themselves. 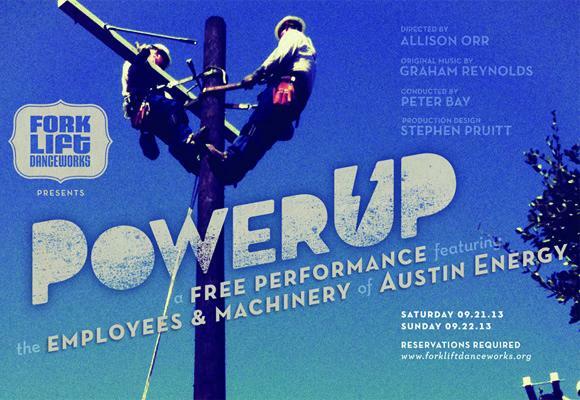 Original music for Power UP, like many of Forklift's works, was composed by Graham Reynolds; the live orchestra will be conducted by the Austin Symphony's Peter Bay (himself a former Forklift Danceworks performer, having danced in Solo Symphony). The dance we be performed two nights only, Saturday, September 21 and Sunday, September 22, at the Travis County Expo Center. Tickets are free, but reservations are required and can be made at the Forklift Danceworks website. If the film "Trash Dance" has a mantra, it’s simple: Power to the people. Those people and that power, however, don’t conjure up the familiar themes of power through politics but, strangely enough, dance. 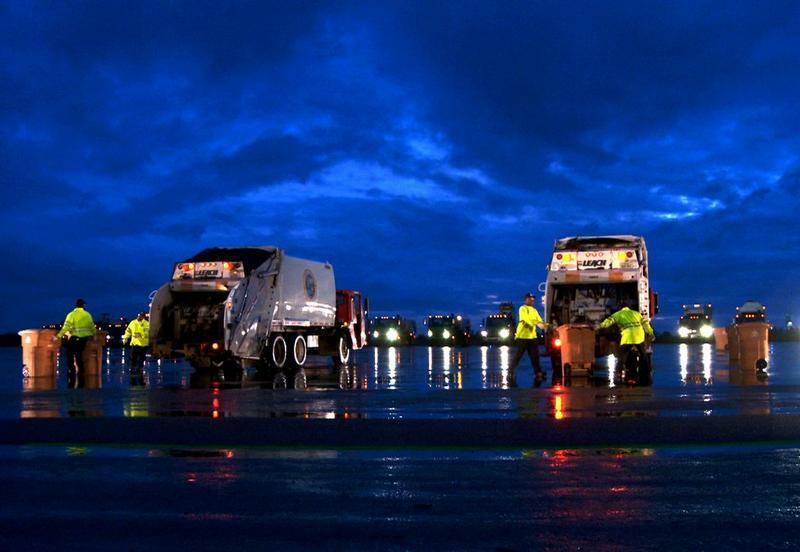 The film follows choreographer Allison Orr’s work with Austin Energy and Solid Waste Services to make meticulously synchronized dance routines featuring everyday utility service vehicles. So it’s power to the people, who give you power and haul your trash.